Home > Lubrication > Food Grade Products > Oil - Mineral - Food Grade - 4 Oz. This oil can be used on cast iron cookware to prevent rust & help preserve its seasoning. 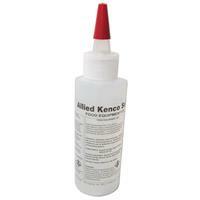 Also excellent for the lubrication of abrasive stones when sharpening knives & cleavers.